Seeing isn’t everything; it’s the only thing! I took a break from my M1 project to visit my friend Tony on the other side of town. 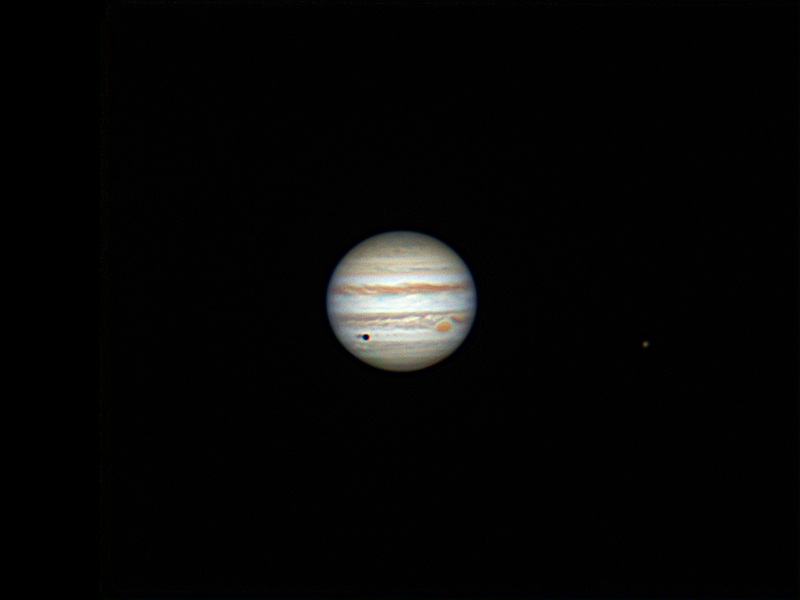 We did some imaging of Jupiter. I did planets for awhile in the past and one thing that I really began to understand was the importance of “good seeing”. Good seeing is the elusive variable we are all trying to take advantage of here on the Earth’s surface. We have to deal with this “thing” called an atmosphere. I tell people it’s like being on the bottom of a pool or other body of water and trying to see details of something floating on the top. The only way this is going to be even remotely possible is if there is no movement at all in the water. I mean it has to be like glass! That doesn’t happen very often unless you live in certain parts of the world, like the tropics or equatorial regions. Anyway we took some images of Jupiter which is very well positioned now high in the sky in the Northern Hemisphere. Tony has a nice set up with a 14″ Meade SCT housed in a structure with a roll-off roof. Those large aperture SCTs are definitely planet-killers! But again, you need the quiet atmosphere to take full advantage! Here are 2 images of Jupiter taken 1 week apart. You can see the nice detail in the first image taken on 1/3/14. The second one is lacking in detail. I used to get frustrated with trying to get these high resolution images and would do my collimation and all the important fundamentals and could not understand why the results were so disappointing. It’s because of “seeing”. Jupiter in good seeing taken 1/3/2014. Note the satellite transit in progress! Great Red Spot is clearly seen and nice detail in the cloud bands.